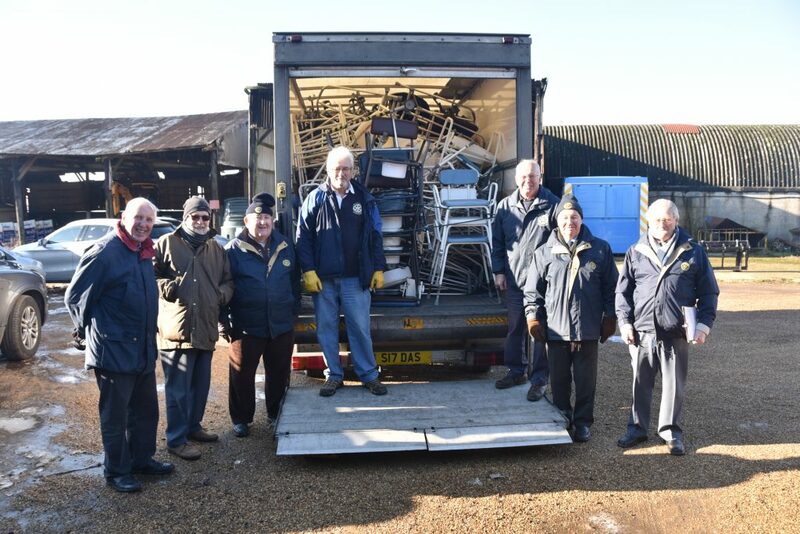 For the past two years and in coordination with Saffron Walden Rotary Club, Clacton’s International Service has supported the Yorkshire-based charity, PhysioNet, by collecting unwanted mobility and physiotherapy equipment for distribution to developing countries. After delivery to PhysioNet’s Yorkshire depot, the equipment is checked and where necessary refurbished. The third lorry load of equipment from Clacton was collected in January 2019 for onward transmission to PhysioNet. A container load is already on its way to the Rotary Club of Northcliffe in Johannesburg, which supports a wheelchair repair shop providing local employment. Demand in South Africa for mobility aids is enormous and a second 40ft container will be sent to Northcliff shortly from PhysioNet’s Yorkshire base. Chairman of Clacton’s International Committee, Brian Henesy, said: “He was proud of the work by his fellow Rotarians and thanked Garry Wood the Area manager for Violia and the Rush Green staff who sort out mobility aids for us”. In June PhysioNet was awarded The Queen’s Award for Voluntary Service 2017. The award was created by The Queen in 2002 to mark her Golden Jubilee, to recognise excellence in voluntary activities carried out by groups in the community. Programme of Events Find out more about Clacton Rotary Why not Volunteer?